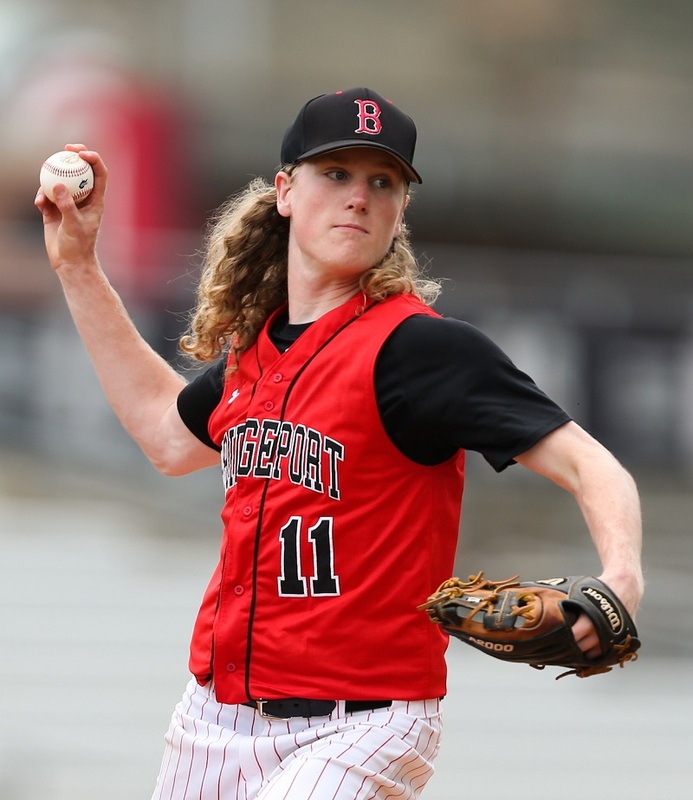 And the best high Class AA high school sports program in West Virginia comes from … Bridgeport High School. This year, the Indians got the job done in two different statewide award programs – including a new one and one that’s been around for decades. This morning, MetroNews announced that Bridgeport High School’s boys and girls programs were the top in West Virginia as the inaugural winners of The MVB Bank Champions Cup, which is presented by the West Virginia Secondary School Activities Commission. The WVSSAC award recognizes the top performing high schools in the state for their overall athletic and academic achievement. The announcement comes on the heels of the Charleston Gazette-Mail announcing Bridgeport’s overall athletic program had won yet another Gazette-Mail Excellence in Sports Awards (GMEISA), the publication’s yearly all-sports ranking of West Virginia’s top overall prep athletic programs. While both programs use similar scoring systems, the MVB Champions Cub has included another component, which focuses on the academic side of things. The program utilizes graduation rates to add to the point total. Bridgeport fared well because of the combined scoring system. 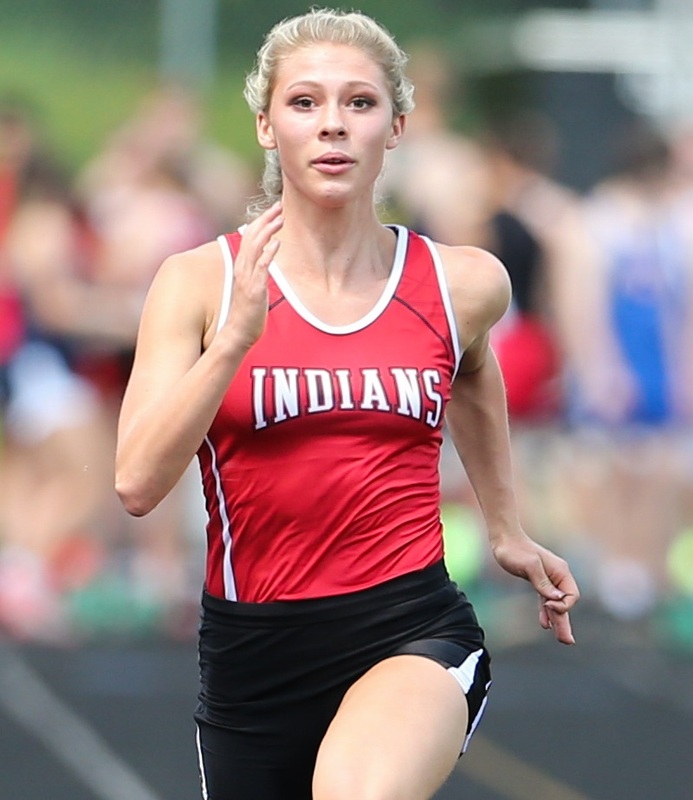 The Indians boys and girls were in the top eight of 14 of the 19 sports recognized by the WVSSAC. Three of the teams – girls track, boys track and baseball – won state championships. Those titles would be needed to push the Tribe past Winfield in the girls and Fairmont in the boys.. Along with the titles in those three sports, BHS got points from the boys’ programs for its tied for third place finish in football, third place finish in golf, sixth place finish in boys cross country, boys basketball in a tie for fifth as a team that made it to the state tournament but lost in the first round, and fourth place in boys swimming. On the girls’ side of things, Bridgeport saw the volleyball team finish tied for third, cross country earn a fourth place finish, girls basketball tied for fifth as a team that made it to the state tournament but lost in the first round, swimming was sixth, tennis was third and softball fifth thanks to making it to the regional final. BHS got points in the same manner in the Gazette-Mail program. The GMEISA is scored basically the same, but awards points on the top eight finishers in each of sport recognized by the WVSSAC — 10 boys sports, nine girls sports — and totals points based on eight points for a state title, seven for second, six for third and a single point for finishing eighth. The premise is the same, but the points awarded is different. The Tribe won the GMEISA for the best combined program in the state. The MVB Cup is for boys’ sports and girls’ sports. Bridgeport has won six-straight GMEISA titles. To get it this year, like the inaugural MVB honor, the Indians had to dominate spring sports, which they did. 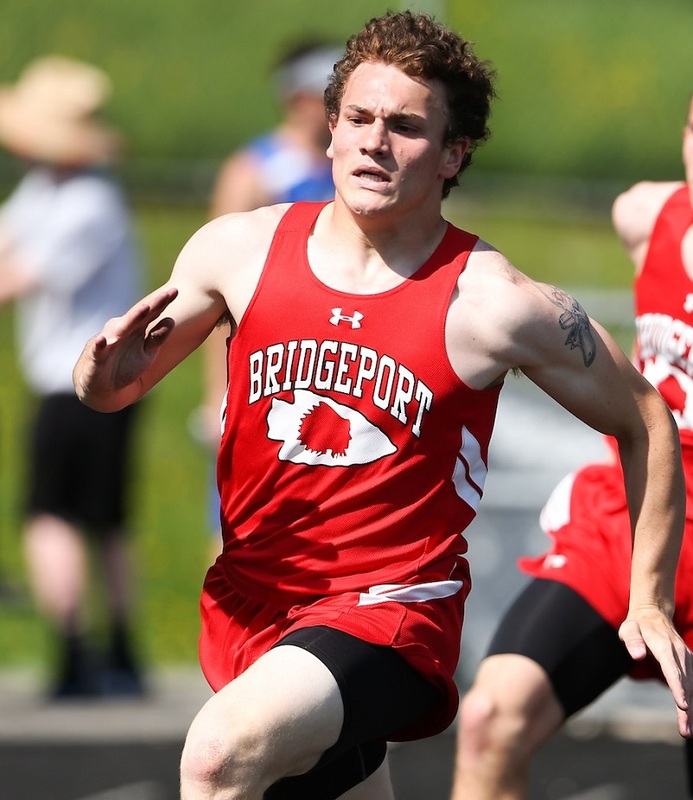 Bridgeport’s title sweep in track and the school’s fifth-straight baseball championship got them past Winfield in the girls and Fairmont Senior in the boys. Those titles alone produced 24 points for the Indians. According to the Gazette-Mail, Bridgeport finished with 70 points and Winfield was right on its heels with 65. The next two were both members of the Big 10 Conference – Fairmont Senior with 47.5 points and Philip Barbour with 28.5. BHS is a 10-time GMEISA title hold, which is tops in Class AA. Winfield has won the honor eight times, while no other school has more than one. Editors' Note: Top photo shows Brayden Lesher, the Class AA first team baseball captain for the Tribe, while boys track high point scorer Maverick Eddy of the state championship team is shown in the second photo and girls high point track scorer Isabella Bowen of the state title squad is shown below. Photos by www.benqueenphotography.com.